Mindful Nutrition with Megan here! Did you know that caffeine consumption may boost memory? You don’t have to give me another reason to drink a cup of joe! 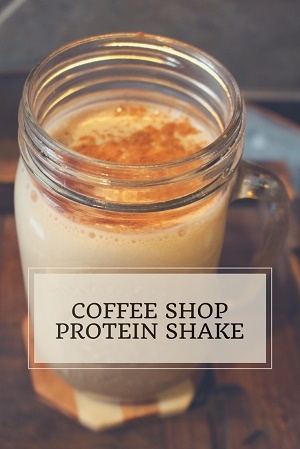 Try this yummy Coffee Shop Protein Shake I make in the morning to help me with my “mommy brain”. This protein shake not only gives you a source of protein but also of dairy and fruit! As an added bonus, CardioWhey provides you with 6 grams of fiber. This combination is sure to leave you feeling satisfied for hours to come. Want to learn more about the research behind the memory effects of coffee and tea? Click here to see a blog post from Dr. James O’Keefe. Blend well until banana is broken down. If you desire a thicker texture, add ice. Pour into cup and add a dash of cinnamon if desired.